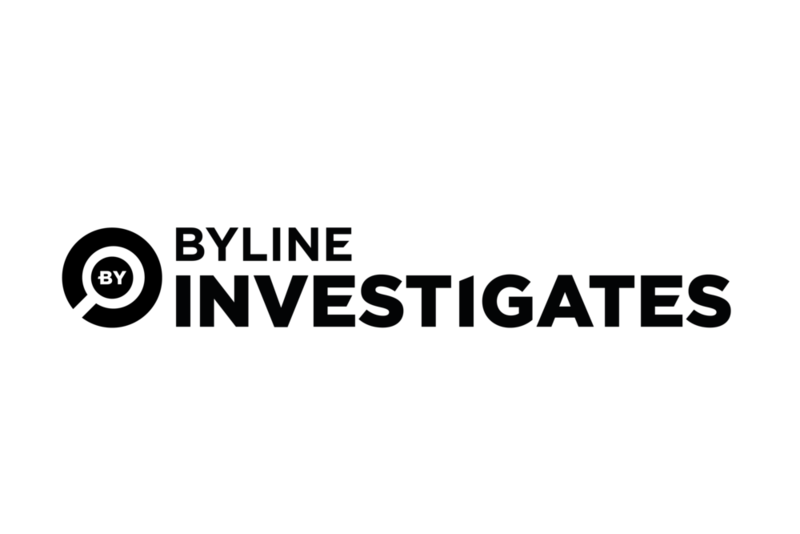 TODAY Byline Investigates reveals the timeline of the phone hacking cover-up, allegedly carried-out by Rupert Murdoch’s newspaper company. The Sun and The News of The World allegedly began the process of deleting millions of emails, shortly after discovering evidence of widespread phone hacking. The wiping of data banks allegedly took place before a small number of incriminating emails were handed over to the police, according to claimants who are suing the papers for alleged phone hacking. Yesterday, Byline Investigates revealed how a key date in paper’s defence case appeared to have shifted. A senior lawyer at News International, the publisher of The Sun, called Jon Chapman had previously told the court that the first time he had seen incriminating emails was on January 14th 2011. However, the claimants say – according to recently discovered evidence – that he actually found out on January 6th 2011. In their view, this gave executives at the company a further eight days to plan the deletion of more incriminating emails. News Group Newspapers have not admitted that any such cover-up took place. The key timeline, set-out at a court hearing last month, begins in late 2010 when the News of the World was coming under increasing pressure, amid the unfolding phone hacking scandal. The Guardian and The New York Times continued to run stories about voicemail interception, based on evidence that was emerging in civil law suits. Several victims, including actress Sienna Miller, made claims early on against NGN, and the News of the World’s former private investigator Glenn Mulcaire. At this time, NGN was still maintaining its ‘one rogue reporter’ defence, claiming that the only journalist who was involved in hacking phones was ex-royal reporter Clive Goodman, who was jailed in 2007, along with Glenn Mulcaire, for listening to the voicemails of royal aides. On the December 15th 2010, The Guardian revealed that new evidence - emerging from actress Sienna Miller’s legal proceedings against the News of the World – showed that another "senior editor” – other than Goodman - was also involved in phone hacking. In response to these revelations, two days later, The News of The World secretly suspended its news editor Ian Edmondson and prepared to launch an internal investigation. At the same time in mid-December 2010, publisher News International’s Director of Legal Affairs Jon Chapman, and another in-house lawyer called Tom Crone, stepped-up their involvement in what was going on inside papers’ London HQ. The lawyers had asked data manager Chris Williams to search some emails for any documents, relating to the ex-footballer Andy Gray, who was also suing the newspaper for phone hacking. On January 5th 2011, News International prepared to announce publicly that News Editor Ian Edmonson had been officially suspended. An email was sent from Daisy Dunlop, the company’s top PR executive to security boss Mark Hanna about the announcement of that suspension. What follows in the next 24 hours is very important, say the claimants, and the exact sequence - involving a crucial email - has never come to light before. Firstly, senior politician Ed Balls MP called for the police to investigate the new allegations of multiple News of The World phone hackers, on BBC Radio 4’s flagship morning Today programme. An email was sent from Daisy Dunlop to fellow PR executive Hayley Barlow and top executive Rebekah Brooks about Ed Balls appearance on Radio 4’s World at 1 programme, in which the minister was calling for the News of the World phone hacking case to re-opened by police. At 9.36 am, Data Manager Chris Williams then emailed Jon Chapman, NGN’s Director of Legal Affairs, to say that he had found ‘hits’ during a the trawl of emails requested for Andy Gray’s claim. Williams then sent lawyers Chapman and Crone a series of emails from Mulcaire to Edmondson and another executive, James Weatherup. Two of these emails, from Mulcaire to Edmondson, were highly incriminating of phone hacking. The emails to Weatherup showed that his links to Mulcaire were very similar to those of Edmondson. This meant that Chapman and Crone now had emails that contained evidence that Ian Edmondson and Glenn Mulcaire were conspiring to hack phones – a fact which contradicted the company’s ‘one-rogue-reporter’ line. The claimants say that this sparked new activity by News International – they accelerate their programme to delete millions of emails, a claim denied by News Group Newspapers, papers' holding company. Exactly one hour and 50 mins later, an email was sent inviting various technicians to a workshop run by a firm called EAS, IT sub-contractors who will carrying out email deletions at News International. NGN do not characterise this process as deletions, but say that the data was being ‘migrated’ from an old computer system to a better one. One such email, which has since been recovered, involved the then News of The World editor Colin Myler, Rupert Murdoch’s son James Murdoch, and Tom Crone discussing a phone hacking settlement with Gordon Taylor, the boss of the sports’ union, the Professional Footballers’ Association. In a legal document, the barrister for the claimants David Sherborne said that ‘the recent disclosure of the metadata of deleted emails demonstrates that the deletions took place in mid-January 2011, after the 6 January email was received. The email reply, which was made famous in the Culture Select Committee and Leveson Inquiries into phone hacking, was sent by James Murdoch, the then CEO of News International, to Myler and Crone, after they had sent a “bad news” email on Saturday June 7 2008. The email asked permission to make a very large payment, alongside a “gagging” agreement, to hacking claimant Gordon Taylor. The proposal was made on the basis of external legal advice, pointing out that there was extensive evidence of hacking that went beyond Clive Goodman. The Murdoch email had been deleted from the email system, even though “routine deletions” had not affected 2008 emails, and was later found as a hard copy document. News International’s lawyers had told the Select Committee that their inquiries revealed the emails had been deleted in mid-January 2011. The Claimants’ case was the existence of the “stub” of this email in the metadata was evidence that in mid-January 2011 there were targeted deletions of incriminating emails. NGN’s position is that there is no such cover-up. NGN state that the email stubs are derived from routine and planned “trimming” of the archive up to 2007, prior to the migration of the emails to a new system, and include some ad hoc deletions from corrupt files. More about the detailed timeline of events in the final third part of this court report. Feb 20 High Court Exclusive: Top Murdoch Lawyer Knew Of Widespread Phone Hacking EIGHT DAYS Earlier Than Previously Admitted.